Though legal Missouri sports betting has not been written into the law books just yet, the state is still full of eager sports fans. There is nothing better than watching your team play when you’ve also put money on how your favorite player will perform. 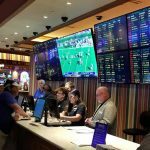 Though there are not any land-based sportsbooks in the state, sports enthusiasts are still able to bet on games without violating any state laws. The key to betting on sports legally in Missouri is knowing where to place your bets. Many residents are unaware of the options for legal sports betting in Missouri. 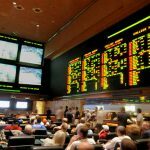 A trip to one of the states that have brick and mortar sportsbooks is not necessary, as there are dozens of legal sports betting sites that offer the same betting odds and more. Understanding your betting options starts with learning some of the basic sports betting and gambling laws in MO. Once you become familiar with these, you will have no problem placing legal sports bets in Missouri. Our goal is to ensure you are fully knowledgeable of the industry before engaging in legal sports betting to reduce any fear or anxiety while trying to have some fun. 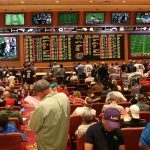 Is Land Based Sports Betting Legal In Missouri? Unfortunately, land-based sports betting is not legal in Missouri. The Professional and Amateur Sports Protection Act of 1992 (PASPA) banned sports betting in the United States, granting exemption only to the states that had pre-existing sports betting laws written. However, this law was overturned in 2018 by the US Supreme Court stating the law unconstitutional against states’ rights. This opens up an opportunity for land-based sports betting with legislators able to discuss and regulate the industry coming to Missouri. The sportsbooks will be offered on the excursion gambling boats and likely through an online platform as well. In the meantime, legal sports betting with an online operator is always an option. When exploring the Missouri Revised Statutes, there is no mention of online sports betting to be found. In fact, there are no laws regarding using the internet for any type of wagering. This is not unique to the Show-Me State, as most states have not amended or written new laws that address the internet as a betting platform. The absence of legislation regarding online sports betting is what makes it generally acceptable to the use the internet for sports bets. There are no statutory penalties that casual sports bettors have to worry about and thousands of MO residents bet on sports online without issue. You can bet on sports in Missouri, but not from a land-based sportsbook. The only way to bet on sports while physically remaining in MO is to use a legal Missouri sports betting site. When you join an online sportsbook, you can bet on the Kansas City Chiefs from virtually anywhere that you have an internet connection. The only other option for betting on sports would be to book a flight to one of the several states that offer legal land-based sportsbooks. As far as where to bet on sports in Missouri goes, online sportsbooks are your only real option. If being at a sportsbook is a must for you, there are many other options, but you will have to travel out of state. Online sportsbooks are far more convenient when attempting to place some money on the line and traveling adds extra costs. Luckily, the growth of legalized sports betting in the US is happening quickly so you won’t have to travel too far if you did so by car. Missouri sports betting and gambling laws are very straightforward. There are laws to govern each type of gambling in the state, including horse racing betting and casino gaming. What you will not find, however, is laws for legal Missouri sports betting. Lawmakers are hoping to change this with sports betting bill proposals such as Missouri Senate Bill 222. The proposal authorizes sports wagering on both a mobile platform and on excursion gambling boats (casinos). This is the only bill proposed thus far that offers methods for the industry to flourish and also discusses licensing requirements and a taxation system. Missouri residents and Senators seem ready to make sports betting in the state happen this time around and it is unlikely that a change won’t occur for the positive. The current laws for casinos and general gambling can be found within Chapter 572 of the Missouri Revised Code. The laws state that knowingly engaging in the act of gambling is a class C misdemeanor, while professional gambling is a class D felony. Of course, gambling at licensed casinos is completely legal within the state. 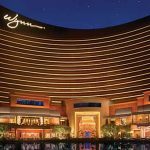 The state authorizes roulette, poker, and other casino games to be offered on riverboat casinos; moreover, horse racing betting has its regulations which grants the authority for licensed venues to offer pari-mutuel wagering and simulcasting. Horse racing betting in Missouri is legal, but you will not find any live horse race tracks in the state. Though pari-mutuel wagering was legalized in 1984, there were restrictions put in place on when simulcasting could occur. Though there were talks of bringing tracks to the state and reviving the horse betting industry in MO, nothing came to fruition and the Missouri Horse Racing Commission (MHRC) has been inactive for years. Even in states that do allow horse enthusiasts to enjoy a day at the races, patrons are choosing to use online racebooks to bet the ponies. There are perks that cannot be beaten when you bet on horses online, such as daily rebates and access to races at major tracks all over the world. Mobile horse betting makes betting on horses even more convenient by being able to take your racebook with you wherever you go. Missouri horse racing betting is alive and well at online racebooks. Missouri was the sixth state to pass daily fantasy sports legislation. In May 2016, Missouri Governor Jay Nixon legalized daily fantasy sports by signing MO HB 1941. 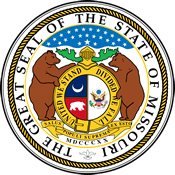 Known as the Missouri Fantasy Sports Consumer Protection Act, the law requires DFS operators such as FanDuel and DraftKings to obtain licenses. It also requires online players to be 18 years of age or older for online contests. Laws also permit fantasy sports at riverboat casinos; however, participants must be at least 21 years of age. Can I Bet Real Money On Sports In Missouri? Yes, you can bet real money on sports in Missouri by using an online sportsbook. At real money sports betting sites, you can make a deposit and place a bet on the St. Louis Cardinals within minutes. These sportsbooks make it easy to fund your account and request withdrawals once you start winning money. Betting real money on sports online makes rooting for your favorite teams that much more exciting. Is Online Sports Betting Safe In Missouri? Online sports betting is safe in Missouri as long as you go to the right place. Legitimate online sportsbooks put the safety of customers as a top priority, utilizing the latest sports betting software and technology. When you enter your credit card or banking information, all of the data is encrypted. Your personal contact info is also stored over a secure network. Using a reputable online sportsbook like Bovada, SportsBetting, BetOnline, and 5Dimes, you can bet safely on sports online in MO. Will Sports Betting In Missouri Ever Be Legal? Sports betting in Missouri could be legal within the next few years. Though state officials have not formally discussed the possibility of legal Missouri sports betting, other states have been taking action on making the activity legal. As more attention is brought to sports betting on statewide and federal levels, MO lawmakers could begin to introduce sports betting bills or at least start to study its impacts. Will I Get Arrested For Sports Betting In Missouri? While we are not attorneys that can offer 100% guarantees, the chances of getting arrested for sports betting in Missouri are slim to none. There has never been a case where a casual bettor was arrested for using an offshore online sportsbook. There are no laws to prohibit it, and there are US-friendly sports betting sites that have been accepting MO players for years. As long as you use a reputable online sportsbook, you will be fine betting on sports in Missouri. What Is the Sports Betting Age In Missouri? The sports betting age in Missouri is 21 years of age. Once you are over this threshold, you are free to bet on sports in the state. Many online sportsbooks will start accepting players at age 18, but this is just their general betting age. You will still need to abide by the legal Missouri sports betting age to avoid getting penalized for underage gambling or having your account terminated indefinitely. Are There Mobile Sports Betting Apps Available In Missouri? 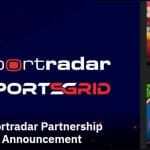 Yes, any online sportsbook that you join will most likely have a mobile sports betting platform. The mobile sports betting apps available in Missouri are very similar to the desktop version of the sportsbook. You will have the same wide selection of sports to choose from and just as many wagering options. When you want to bet on the St. Louis Blues while on the go, just use a mobile sports betting app from one of the top sites. These mobile apps even have live in-play betting where you can wager on games and events after they begin for more lucrative payouts. Where Is The Best Place To Bet On Sports In Missouri? The best place to bet on sports in Missouri is from your laptop or mobile device. There are no physical sportsbooks for residents to visit, but online sportsbooks offer more than your traditional sportsbook would. You have thousands of betting options to choose from every single day, and more than just the typical popular sports to wager on should you want to switch it up. There is no better place to bet on sports than from the comfort of your home. Should I Use A Local Bookie In Missouri? You should never use a local bookie in Missouri. Using a local bookie is quite dangerous, not to mention illegal and punishable by law. There are too many risks when betting with a local bookmaker that are simply not worth it. Not only are you not guaranteed to get your money should you win, but it could also open a can of worms to other legal issues. To bet safely while in MO, stick to an offshore bookmaker. Do Any Casinos In Missouri Have Sports Betting? There are not any casinos in Missouri that have sports betting. The casinos in the state are legally only able to provide Class III gaming action which includes traditional casino games like slots, roulette, blackjack, etc. However, these excursion gambling boat casinos are the first location sports betting will be made legal once legislators agree to a set of regulations. Can I Bet On Sports With My Friends In Missouri? According to state laws, you cannot bet on sports with your friends in Missouri. The state does not permit social gambling, which means any type of bet placed could be considered illegal. While it is near impossible to police this and it is rare to be arrested or convicted in this manner, there is no reason to risk it when safe methods like using online sites are available. Sports betting sites offer you and your friends plenty of betting options across numerous sporting events.